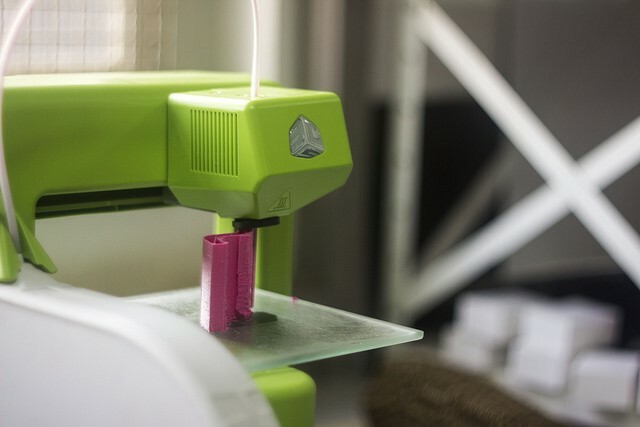 In recent years, 3D printing has transformed into a technology capable of manufacturing products that include everything from human parts to fashion accessories and even jet engine parts. What a lot of people don’t realize, however, is that 3D printing technology has been around for nearly three decades. Designers and engineers have been using the printers to make prototypes for defense, aerospace, and automotive companies. But it wasn’t until the printers became smaller and more affordable that curious buyers began taking advantage of all that the seemingly modern technology has to offer. Now that it’s being used in more incredible ways than ever, it’s hard to deny the potential that exists. But first, how does 3D printing work? To put it most simply, 3D printers are additive, which means they work by adding more and more of the specific building material to build an object up. There are several small variations in terms of the of additive technology a printer can use, but the most popular and seemingly most effective is SLA or stereolithography. SLA is a layer-based technology that utilizes lasers to turn a liquid medium, called photopolymer, into a solid. A metal platform is dipped into the photopolymer and held approximately 1/10th of a millimeter of less off the surface. Then, an ultraviolet laser traces out the shape of the first layer, making a solid out of the liquid whenever it touches. The platform then moves up a layer and the process repeats until the object is complete. There’s also extrusion deposition which is where a robot nozzle proves around, releasing a plastic building material, creating one hardened layer on top of another. Other approaches to 3D printing include selective laser sintering, or SLS, as well as selective laser melting, or SLM. So what exactly do we have to look forward to in terms of the future of 3D printing? First and foremost, it should be stated that, without a doubt, 3D printing most certainly does have a future. Perhaps the most exciting is localized, personalized production of consumer goods. Imagine something in your home or office suddenly breaks down. Whether it’s your refrigerator or your lawn mower. Instead of having to go out to the store searching for the replacement part, you can simply log in online, look up the part, and print it out using a 3D printer. Suddenly you have the replacement part faster and in a unique way than you ever imagined before. Suddenly you’ll have a much more efficient way of satisfying your own needs. Talk about a quick fix! You really can’t talk about 3D printing without mentioning its capabilities in the medical field. 3D printing technology has already been used by doctors to create personalized knee replacements, print living tissue, and even print parts like jaw bones to be used in reconstructive surgeries. Scientists and engineers in the medical field are already experimenting with Graphene, a nearly transparent, flexible substance that’s 100 times stronger than steel. It is no understatement to say that 3D printing has already begun transforming healthcare as we know it. One of the most fascinating uses of 3D printing technology is nano-printing. Imagine a 3D-printed product the size of a grain of sand. That’s exactly what Jennifer Lewis and her team at Harvard University did when they created a nano-sized lithium-ion battery. It works just like a normal battery, despite it’s incredibly tiny size. So what in the world would it be used for? Everything from small medical devices to tiny robots! With the help of 3D printing technology, nanotechnology can be utilized at a much more rapid pace. In terms of the 3D printers themselves, like most other technological advances in all of human history, we can expect them to get even better, faster, more efficient, and at the rate, they’re going, smaller. 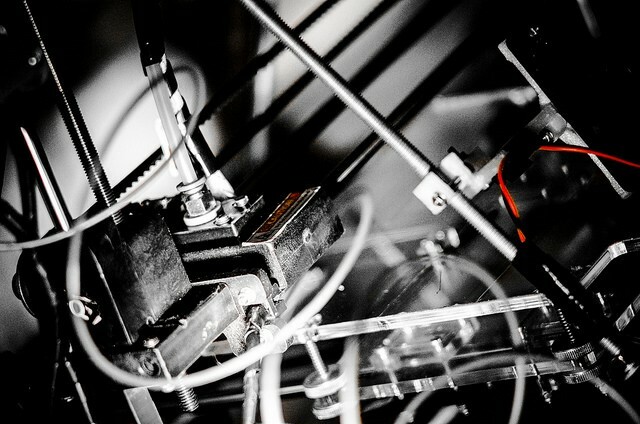 Most of the 3D printers being used today use a single printhead. By adding more printheads that can all print simultaneously, suddenly the printing time can increase, while multiple materials or colors could be printed. Engineers believe that sort of technology isn’t too far off. Additionally, Oak Ridge National Laboratory and Cincinnati Incorporated recently partnered to address the challenges faced in terms of printing speed. Speed can be a big concern when printing larger objects, so it shouldn’t come as too much of a surprise that companies want to be able to produce products at a much faster pace. Of course, speeding up the machine can’t occur with more control of the actual nozzle. All of that being said, perhaps one of the biggest goals in the future of 3D printing is to make them easier to use and more accessible for the average person. Much like computers were once thought to be nothing more than lab equipment, 3D printers still seem to be a bit foreign in the eyes of the average user. Even those who consider themselves quite tech-savvy. Companies are hoping to create printers that function in a way that is desirable for the average citizen, while still trying to come up with a reason they would want to own a 3D printer in the first place. Perhaps they should send that concept to the advertising department! There’s no denying 3D printing is an exciting technology that companies all over the world can’t wait to get their hands on. Every kind of company will likely find ways to use 3D printing to improve their company’s production techniques. While some may see the product of 3D printing as nothing more than cheap, plastic wastes of space, other acknowledge the bright future ahead of the ever-evolving technology. It’s simply up to you to decide where you stand.